FAC 221 'Factory goes to Hollywood' badge from January 1989. 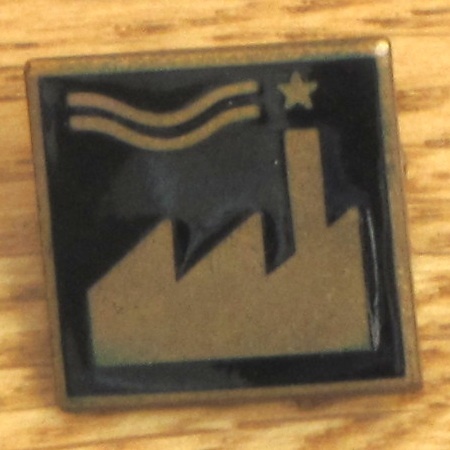 A black/bronze badge displaying the Factory US logo, and FAC 221 on the back. The badge came with a small card: 'Factory Goes to Hollywood'. It was issued at the same time Tony Wilson went to LA to raise funds for FACT 181 Mad Fuckers (the undone movie project by the Bailey Brothers). A leaflet was also produced for retail sale. Thanks to Mike Stein for imagery.